. : Welcome To Hillbilly Hitmen:. 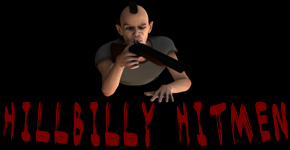 Welcome to Hillbilly a free mafia-style browser based RPG, which means you don't have to download anything at all, you play it all in your web browser, and best of all you don't have to pay for anything. In Hitmen, you choose your own path. Whether you want to train your stats and become the strongest player, or be a socialite in our social network style game play, it is entirely up to you.